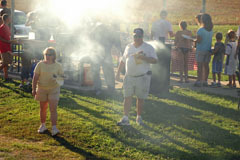 The Catfish Jugging Party on July 25 featured beef brisket, pulled pork and ribs by Captain Hog's BBQ & Catering. 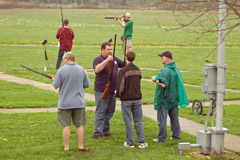 You couldn't miss the tempting aroma anywhere on the grounds. 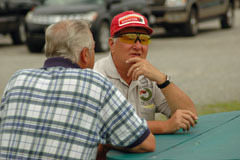 The Captain Hog's barbeque was a highlight for most. 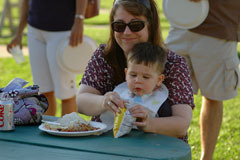 Of course this youngster seems quite pleased with the chips, too! 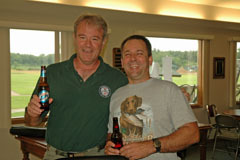 He was one of among about 75 people who enjoyed the evening. 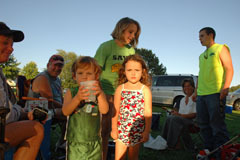 Many people set up camp overnight at EGC for the Catfish Jugging Party on July 25, which provided fun for all ages. 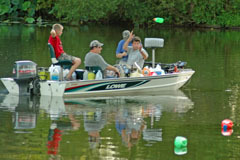 Ethan Coderre, John Guse, Mitch Gieseking and Bill Kreutzberg throw out the first round of jugs into the South Lake. 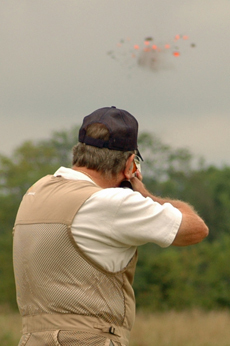 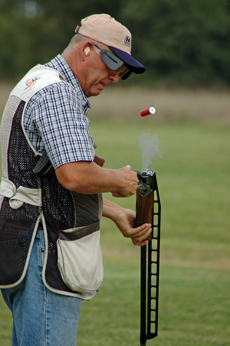 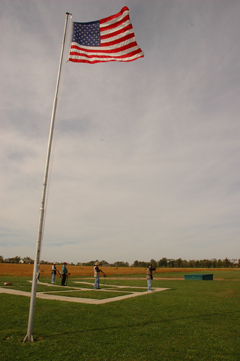 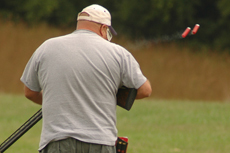 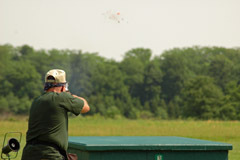 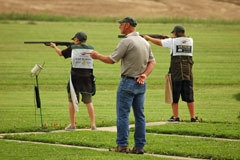 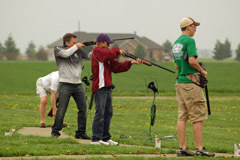 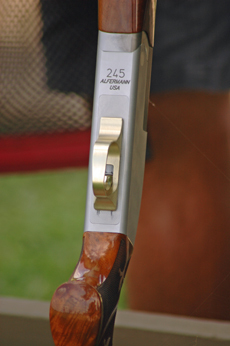 EGC was again pleased to host the Amador & Argonaut Shooters, who traveled from near Sacramento, Calif., to compete in the Scholastic Clay Targets Program championships in Sparta, Ill. 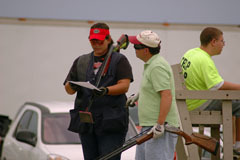 The team, for the third year, visited EGC for warm-up practice before the competition. 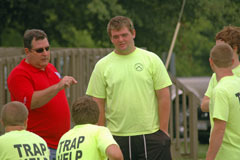 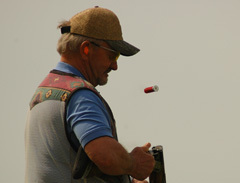 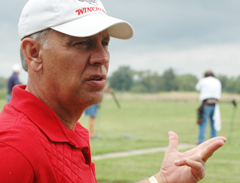 Richard Lynch, coach of the Amador & Argonaut Shooters from near Sacramento, Calif., instructs his trap team during practice at EGC. 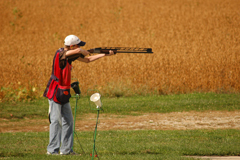 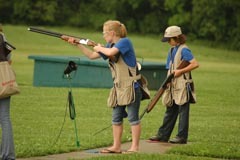 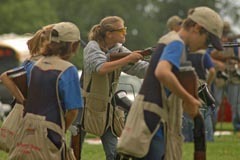 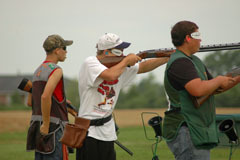 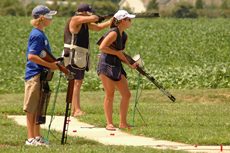 The team visited EGC prior to competing in the Scholastic Clay Targets Program championship in Sparta on July 24-26. 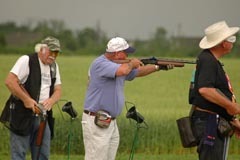 EGC Treasurer Jim Wilson and Tim Bates at the Indian Coin Shoot on July 12. 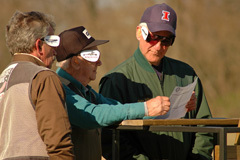 More then 40 people gathered at EGC for the University of Illinois Extension Pond Management Seminar on June 9 and heard excellent presentations by experts from the Illinois Department of Natural Resources Fisheries, Madison County Soil and Water District and the U of I Extension. 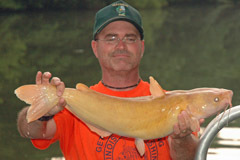 A representative of Illinois Department of Natural Resources Fisheries displays a 7-pound albino channel catfish from the EGC South Lake. 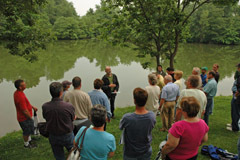 As part of the U of I Extension Pond Management Seminar at EGC on June 9, IDNR Fisheries performed a lake assessment that included water quality and stocking. 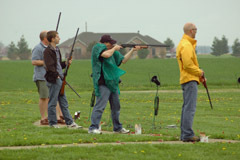 Boeing/Society of Allied Weights Engineers hosts a fun shoot at EGC. 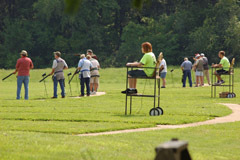 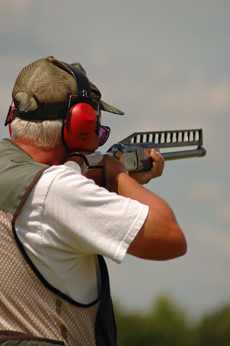 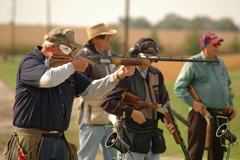 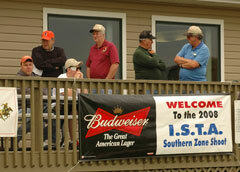 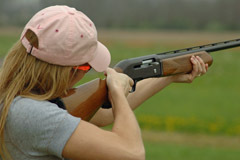 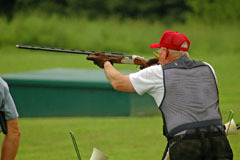 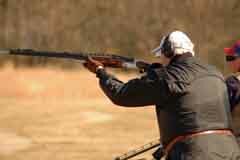 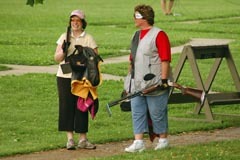 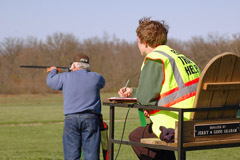 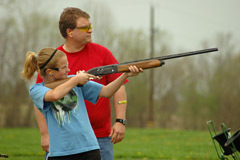 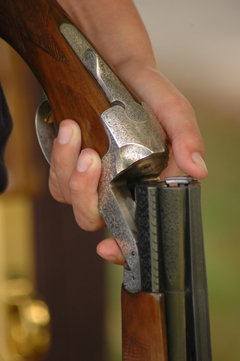 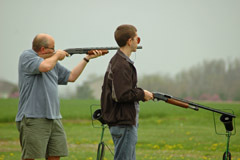 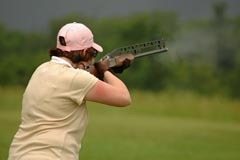 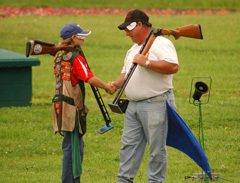 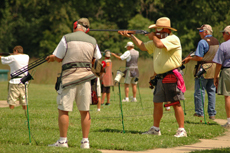 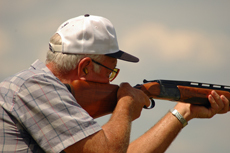 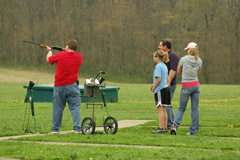 Boeing/SAWE fun shoot introduced trap shooting to many new shooters at EGC. 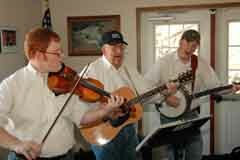 The Red Hair'd Boys play bluegrass during the Wild Game Feed & Fun Shoot on February 22. 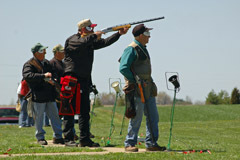 Dave Williams was the top shooter in the third event at the Wild Game fun shoot.